For information on Invisalign, please visit www.invisalign.com . The aligners are made through a combination of ‘s expertise and 3-D computer imaging technology. As you replace each aligner with the next in the series, your teeth will move – little by little, week by week – until they have straightened to the final positionhas prescribed. You’ll visitabout once every 6 weeks to ensure that your treatment is progressing as planned. 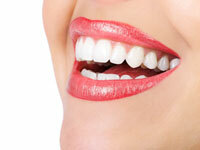 Porcelain veneers are thin shells of ceramic that bond directly to the front and top surfaces of the teeth.